There are many classes of cars that the auto industry keeps track of, but one of the most sought after titles in the auto world is that of the "fastest street legal car." Since most drivers are only accustomed to standard street cars like sedans, trucks, and minivans with four or six-cylinder engines, not many people are aware of the exotic and surreal world of high-end street legal cars. Many wealthy individuals across the world, like Tiger Woods and Jay Leno, actually invest a lot of their money into collecting cars. Besides celebrities, some of the most wealthy investors in the world routinely compete for the ability to purchase a rare vehicle. These collectors look for cars that have some unique characteristics, such as being the most beautiful, most expensive, or most powerful car in the world. However, the one category that usually attracts the most buyers is the car that can claim the title of being the fastest street legal car in the world. For this reason, the title also makes up the most competitive niche market in the auto industry. Top speed - What is the peak speed that the car can reach, regardless of how long it takes to get there? Acceleration - How long does it take for the vehicle to reach 60 or 100 miles per hour? Time tests - How long does it take to drive the car a certain distance, like a quarter of a mile? Since it's difficult to match all conditions for all vehicles, and top speed and time tests are so difficult to judge, the acceleration test has become the true measure of the fastest street legal car in the world. It is important to classify this category of cars as being the fastest street legal cars; it is much easier to build a racing car that can travel very fast but fails to meet the safety and handling requirements of normal street driving. In order to enter the legal street car category that many enthusiasts are interested in buying, the car needs to meet those legal requirements. Most people have heard of the famous supercars like Lamborghini, Porsche, or Ferrari. However, beyond 2007, these were not the top fastest cars in the world. That title belonged to the following supercars. 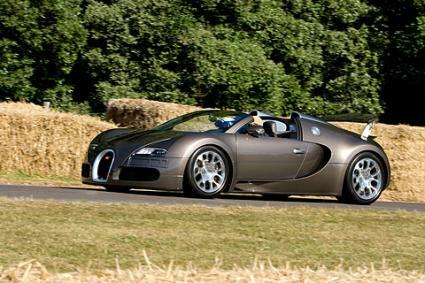 In 2006, the Bugatti Veyron transformed the supercar niche with an insanely powerful 8 liter, W16 engine that could produce 1001 horsepower. The car was designed and produced by the Volkswagon Group. In 2006, the car was tested at the Ehra-Lessien test track and reached 253.5 miles per hour and accelerated from 0 to 60 miles per hour in about 2.6 seconds. The car broke almost all records and maintained the title of the fastest car for the next few years. The Ultima GTR, produced by Ultima Sports of England, first became available on the supercar market in 2008. The vehicle is powered by an earth-shattering V8 engine propelling the lightweight vehicle with 730 horsepower. In 2008, the Guinness Book of World Records recorded the Maxximus G-Force, built upon the Ultima GTR platform, as beating the Veyron's record with an 0 to 60 mile-per-hour acceleration that was just five hundredths of a second faster - providing it with the new title of fastest street car. In 2010, a new supercar made headlines by claiming a top speed of 260.1 miles per hour, far surpassing the previous record of 253 miles per hour. The record-breaking time was recorded at the Bonneville Salt Flats in October of 2009. The car was designed by UK enthusiast Tony Keating, and it houses a 6-liter, V8 turbo engine producing 1005 horsepower. The lightweight car is built with an all carbon-fiber frame and body and produced a record-breaking acceleration of 0 to 60 miles per hour in only 1.67 seconds. Many enthusiasts doubted that the car was even real and questioned whether the tests were accurate. 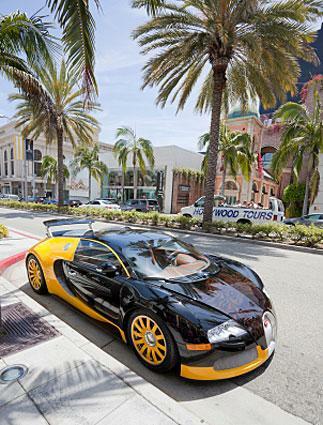 Meanwhile, Keating offers the vehicle for sale at about 500 thousand U.S. dollars, about half the price of the Veyron. While you may not ever have the opportunity to purchase the fastest car in the world, it can be very entertaining and exciting to follow the record-breaking exploits of the wealthy enthusiasts and car companies that attempt to achieve the title of the fastest car, simply for the notoriety and fame that the title can bring.